R. Baron Designs: Someone had a lampwork tutorial published! And that someone would be yours truly! I've written technical articles for Bead Design Studio Magazine (formerly Bead Unique), for the past couple of years. 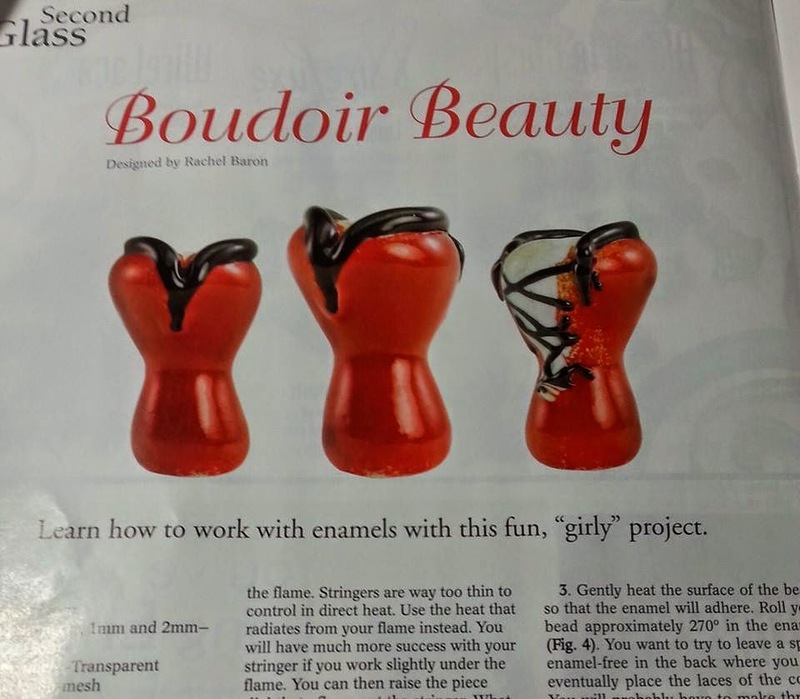 For the first time, however, I found myself with an opportunity to create a lampwork tutorial for this great magazine! Since one of the "themes" for the issue was corsets, I had to take it literally. Just for fun. And what fun did I have creating a mini-army of corseted beads! So if you already receive Bead Design Studio Magazine, check out my tutorial for a little lampwork fun! If you'd like the magazine, and can't find one at your local magazine outlets, you can order issues directly from their website. That was yours!? Wow. Congratulations. I flipped through the magazine and looked over this super cool bead, but I guess was so engrossed in the bead that I didn't notice the name. That's super awesome. Way to go!! Congratulations Rachel. I thought your idea was beautiful and unique.